In recent years some researchers have focused on dividing of large distribution grids to autonomous Microgrids (MGs). The benefit of MGs consists of their ability to increase the reliability of distribution networks and reduce the power losses. The distribution resource within the MGs can balance the gap between limited generation capacity and actively growing demands. In this paper, we proposed the new dynamic boundaries for MGs to gain the flexibility in the grid. 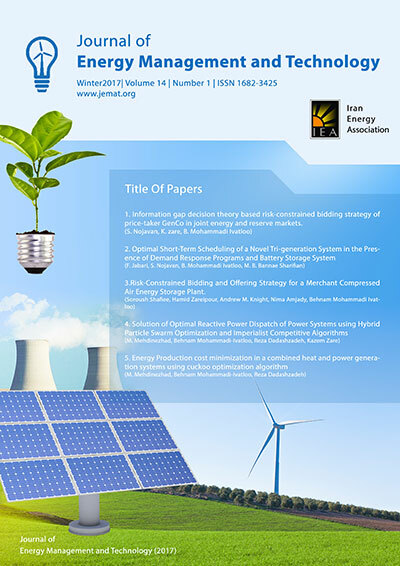 The proposed method is based on finding the optimal state of switches and sizing & siting of distributed energy resource (DES) in an MG-based distribution network. A bi-level optimization problem is used to solving the proposed method. In the upper level of the optimization, the sizing & siting of DER is implemented and the system, is updated to optimal switching in lower level. The stochastic model of wind, solar and load demand is represented. The 94 bus distribution network is modified to the MG-based distribution network for testing and validating the proposed model. The Particle swarm optimization (PSO)is applied to minimize the objective function of upper level and Genetic algorithm (GA) is used for minimization of lower level. According to the results the optimal planning of the autonomous MGs can improve distribution network operation performance.